This petite floral print playsuit is one of my favourite summer buys this year, especially as I bought it off eBay for under £13! 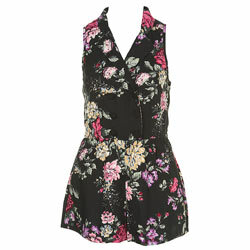 An absolute bargain as it sold out in Topshop a few weeks ago, retailing for £35. It’s also named after the coolest party island in the world (somewhere I have spent two hedonistic summer weeks) and is so easy to wear as a transitional piece from balmy beach days through to buzzing electric nights.